Myra Gale Brown: All I ever wanted was a little pink house with a blue door... a little baby sittin' in a high chair. 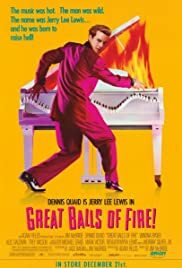 From some of the reviews here, I get the feeling many viewers of this film have never seen a Jerry Lee Lewis performance, much less have ever seen him offstage. Well, I can tell you, Dennis Quaid has the man down to pitch perfect. But it isn't just a great impersonation. Beneath every nuance and gesture is the frenzied heart and mind that probably would never have been able to function outside of the venue of rock and roll. Jerry Lee was the white man's Little Richard. He had rock and roll in his blood and he was BORN outrageous! He also made Elvis Presley look like a wind-up doll. 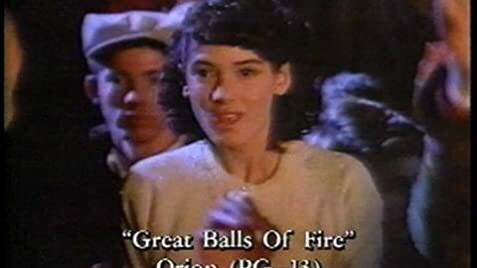 `Great Balls of Fire' captures the essence of Jerry Lee's music, especially in the musical' scene with the kids outside the high school. Rock and Roll breaks the rules, so why not have a film that breaks the rules by throwing in a musical number that obviously has no backup band? Those who have seen the high school rock and roll movies like `High School Confidential' and `Rock Rock Rock' will appreciate this spirited ode to them. Winona Ryder does a pretty good job for Winona Ryder, and it's fun to see John Doe (of the L.A. punk band `X') playing the somewhat stymied father of little Myra Gale. This film is not a biopic, it's a rock and roll movie, which is what the King of rock and roll (as far as I'm concerned) deserves. Is he a bad, bad man for marrying his thirteen-year-old cousin? 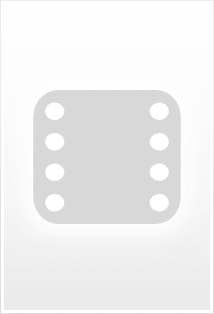 Is it anyone's business? The marriage lasted longer then most marriages these days do. Even if it hadn't, I think people can be capable of respecting the artist and his music even if that artist's lifestyle offends them. That's this film's point of view, so no doubt, there will be viewers who will take offense. But to set the record straight, the whole world did not turn their back on Jerry Lee when the news got out about his marriage to his cousin. There were thousands of fans who actually embraced him more BECAUSE their parents and authorities hated him. And then there were just the fans (like myself) who will always love his music and audacious energy at the piano, and have decided to leave judgment of his personal life to whatever entity is in charge of such things.